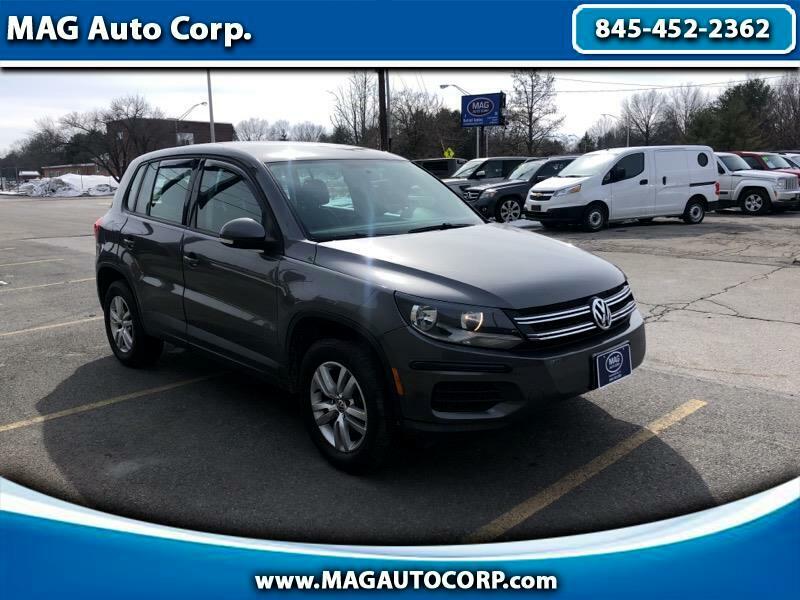 Used 2012 Volkswagen Tiguan 2.0T 4MOTION for Sale in Poughkeepsie NY 12603 MAG Auto Corp.
Visit MAG Auto Corp. online at www.magautocorp.com to see more pictures of this vehicle or call us at 845-452-2362 today to schedule your test drive. At MAG Auto Corp we pride ourselves on offering the most accurate and detailed descriptions of our vehicles and their respective equipment and options. Our computer software automatically decodes the vehicle identification number (VIN) and populates standard equipment into our on line listings. Due to manufacturer production changes and model year differences there may periodically be errors that occur as a result of this automated process. Our staff continually edits the vehicle listings to ensure we are providing our clients with correct information. Errors are not meant to defraud and we assume no responsibility for missing or misrepresented features. Our vehicles sell quickly and we operate 3 different locations. We move vehicles to other locations periodically so please do not assume all cars are located at our Poughkeepsie location. If you are unsure of actual equipment and information that is important to determining the purchase of one of our vehicles, we highly recommend that you please contact us to confirm accuracy and vehicle availability prior to visiting one of our 3 locations.